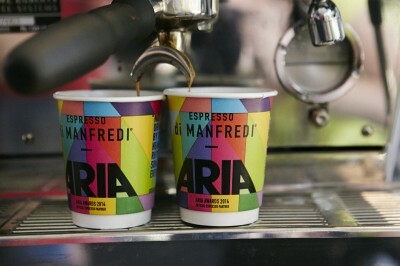 This month, Espresso di Manfredi announced its sequential year as the official coffee partner for the 2014 ARIA Awards Connected By Telstra – celebrating our passion for music, and cementing our relationship with the creative arts. The partnership saw Espresso di Manfredi serve their signature blend to Australia’s leading musicians and music industry VIPs at the artist nomination announcement last Tuesday at The Pavilion, by Sydney’s Royal Botanic Gardens. The relationship continues at the 2014 ARIA Awards Connected By Telstra evening which takes place Wednesday 26 November, where guests will enjoy Espresso di Manfredi espresso martinis overlooking the city at The Star’s Sky Terrace following the ceremony.